There’s only one Oktoberfest in the world and this is exactly where I’m about to take you today. 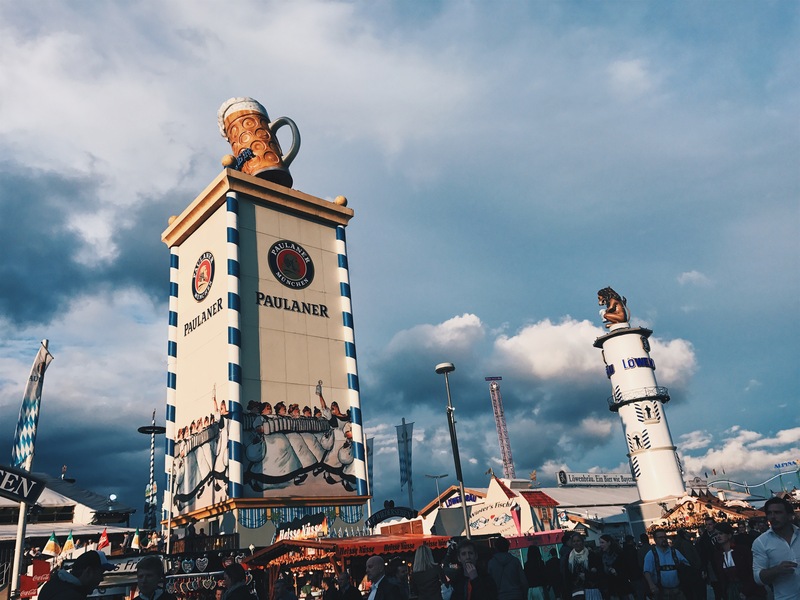 Oktoberfest is the world’s largest Volksfest (people’s festival) and also the biggest beer festival in the world which attracts millions of passionate beer lovers to the beautiful capital of Bavaria, Munich. 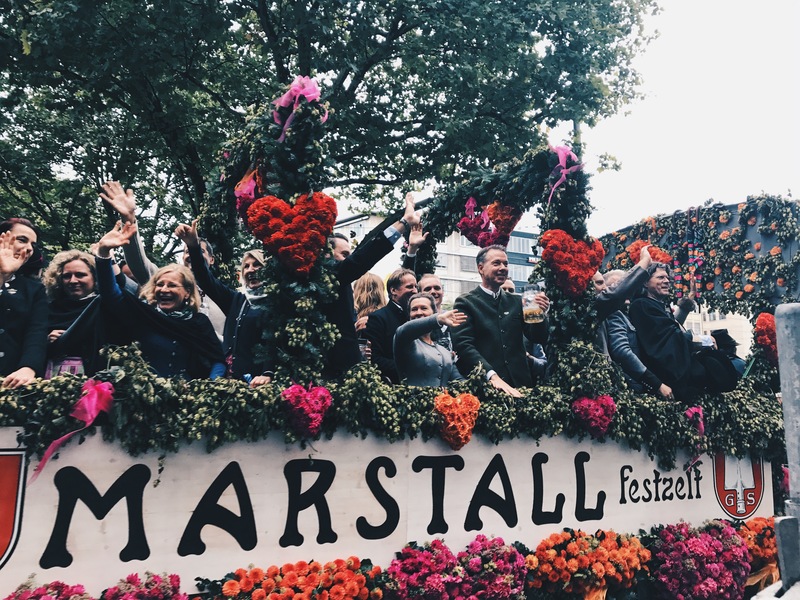 Traditional German food, Schlager music, dirndl & lederhosen, carnival rides and steins of beer entice people from across the globe who are in search of great beer, entertaining company and all that festival has got to offer. The festival is usually around 16-18 days long and it is definitely something you should experience at least once in your lifetime. It might not be your cup of tea or it might be your new favourite place to go but if you never try, you never know! 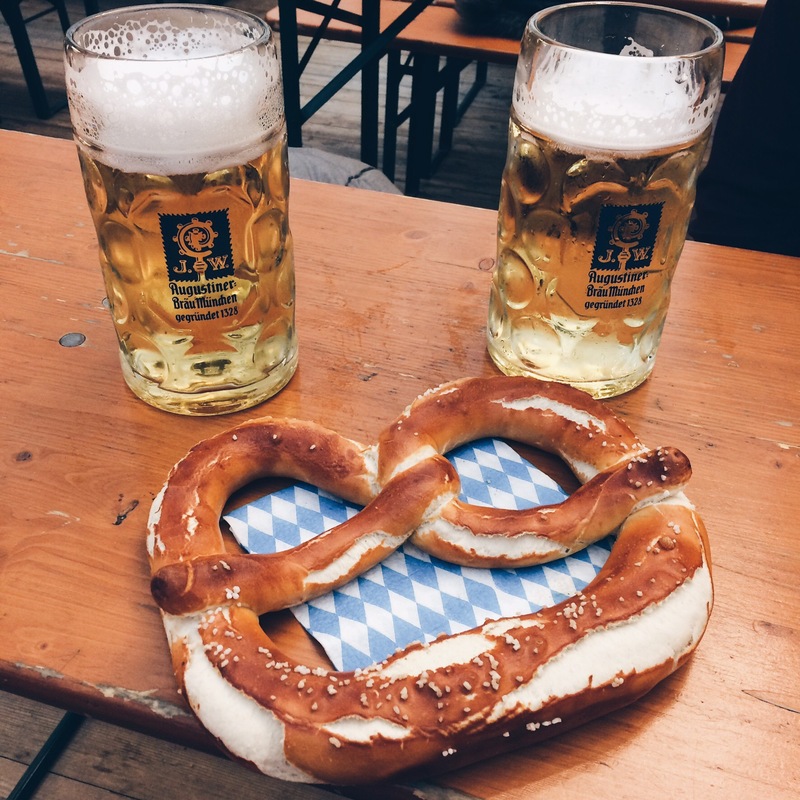 In this blog post I will tell you a bit more why Munich is the city where beer is an acceptable drink for breakfast, how the festival has grown over the years and the insider’s tips & tricks of how to have the best time at Oktoberfest. So let’s go! Why Oktoberfest is celebrated in Munich and how did it all begin? Germany, without a doubt, is one of the most famous beer countries and for some of us the fact that a beer festival is held here is not a surprise, however, many still ask how did it start? Originally, Munich’s festivities began with the wedding of the most famous Bavarian King Ludwig to Princess Therese in 1810. A parade took place to celebrate the occasion and people were invited to join the festivities. The wedding celebration was finished with a horse race and as the celebration turned out to be a lot of fun, locals decided to repeat it at the same time next year. That’s how Oktoberfest was born. In honour of the Princess Therese, the Oktoberfest grounds are now called Theresienwiese (Theresa’s meadow in English). 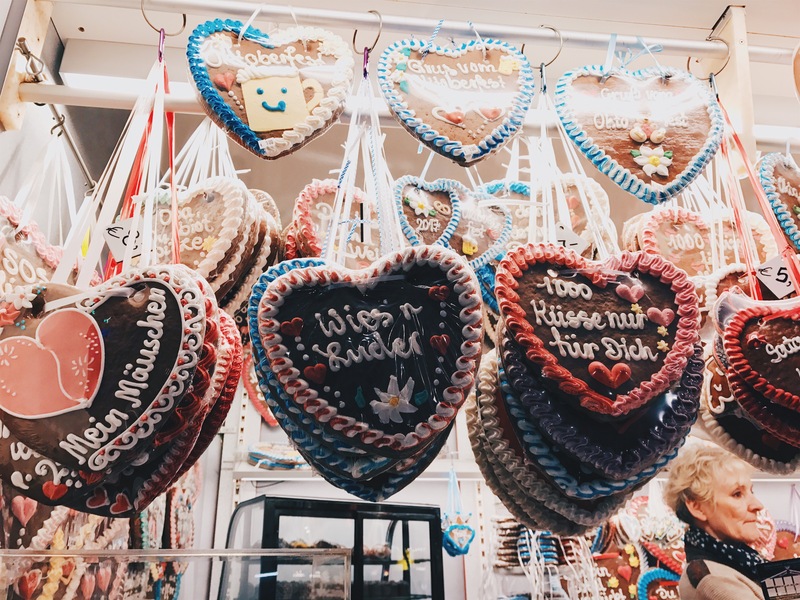 Locals like to call the festival Wiesn as abbreviation to the location, so if you hear Bavarians repeating that name often – you know where they are heading! 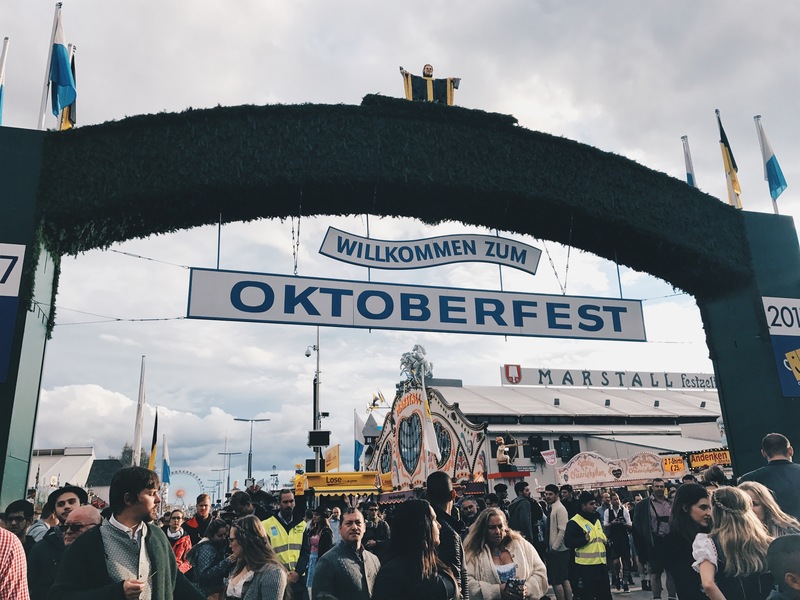 Ultimately, the Oktoberfest was prolonged and its beginning was moved to the end of September to make the most of the better weather and lighter days. The size of the festival also massively grown throughout the years with first beer tents appearing in 1896. Is Oktoberfest as mad as everyone portrays it to be? Now there’s two faces of Oktoberfest. Firstly, there is a Monday to Friday face and secondly, there is a weekend and/or an evening face. 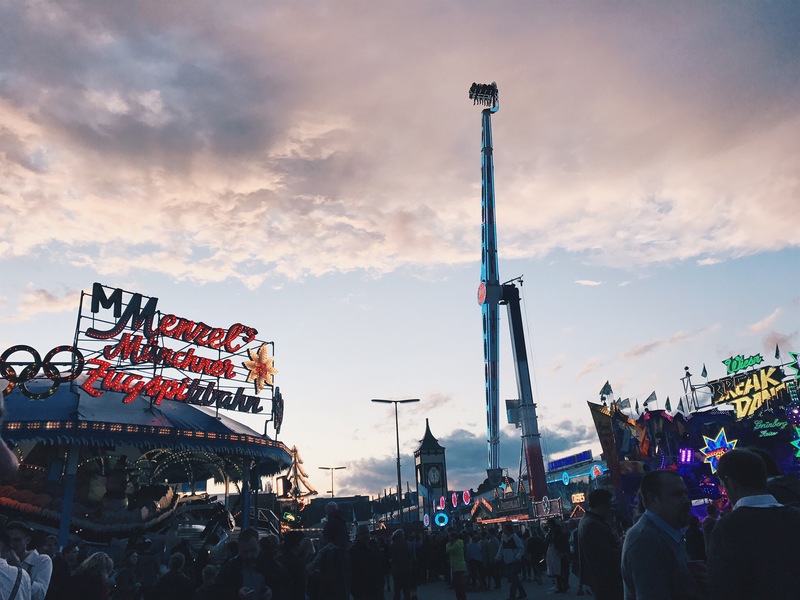 If you visit Oktoberfest on a weekend, you will most likely bump into a bunch of people who came to the grounds to get hammered or get lucky, or both. Therefore, they will lose their heads and their drinking limits. You will see people as drunk as you can possibly get in some places. That drunk that one visitor this year decided to use his money as a toilet paper. Expensive night out for some… But if you visit Theresienwiese during the week and especially earlier in the day, you will be welcomed by happy people, lots of beer, spectacular-looking tents and a lot of tradition. It’s no secret that people come to Oktoberfest to have fun. Everyone is your friend at Theresienwiese and the more, the merrier is truly a rule out here if you want to have a good time. Make friends outside the tents as well as inside of them so you could all sing to Robbie Williams’ Angels together. They do it every year by the way, Robbie is a Bavarian hero of some sort! That’s what Oktoberfest is all about. It ain’t just about beer but about spending time with your family, friends and work colleagues. It’s about meeting new people and making new friends. 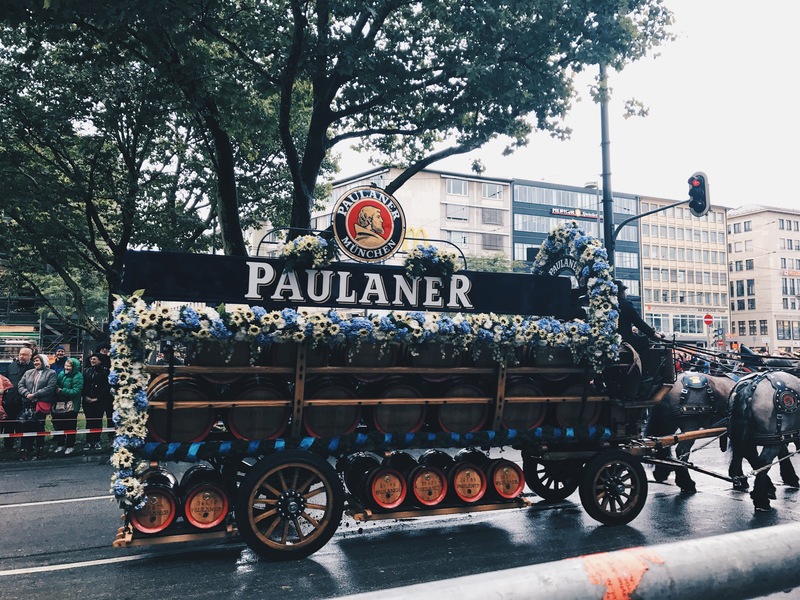 It is even more important today than ever before that the city of Munich opens its culture doors to others and everyone gets to be a Bavarian for a day. On the second day of Oktoberfest, there’s a traditional costume parade which is as spectacular as the brewery parade. It first took place in 1835 to celebrate the silver wedding anniversary of King Ludwig & Princess Therese. 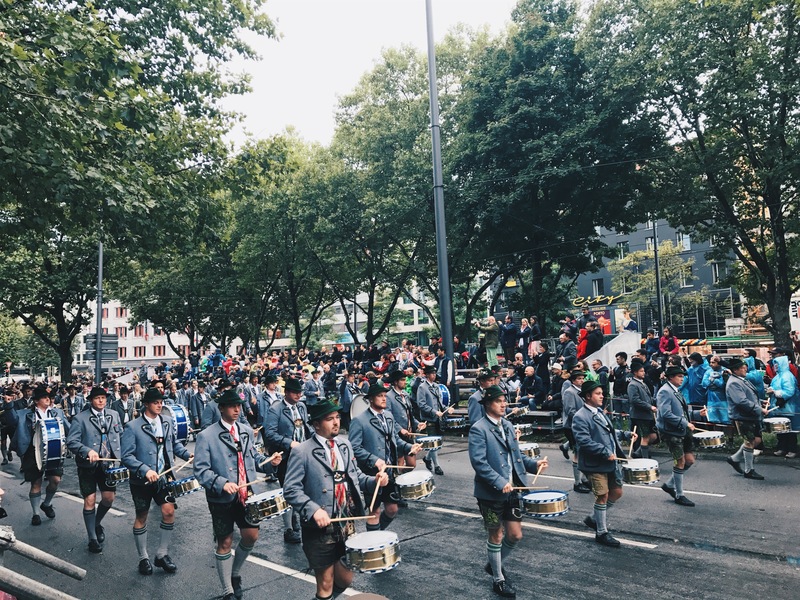 This parade is organized annually since 1950 and has become one of the great highlights of the festival and it is also one of the largest parades of its kind in the world. Around 8000 participants take part in this parade, wearing historic festival costumes. 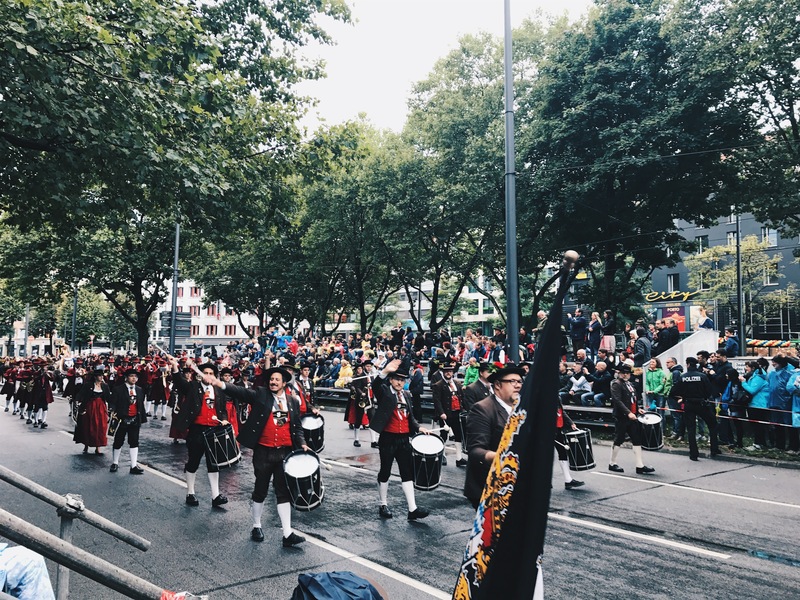 This parade, as well as brewery parade, is also led by the Münchner Kindl, which are then followed by the city’s administration, usually the minister-president and his wife, traditional costume and rifle clubs, bands, flag-wavers and carriages with horses. The majority of groups are from Bavaria, however, other German states as well as other European countries get involved in it too. As you can imagine, there’s a lot of people out there planning their trip to Oktoberfest, therefore, it is important to book a hotel early. Prices go up very quickly and it gets really expensive closer to Oktoberfest. A regular hotel can go up from €80 euro normal season to €300 Oktoberfest season. 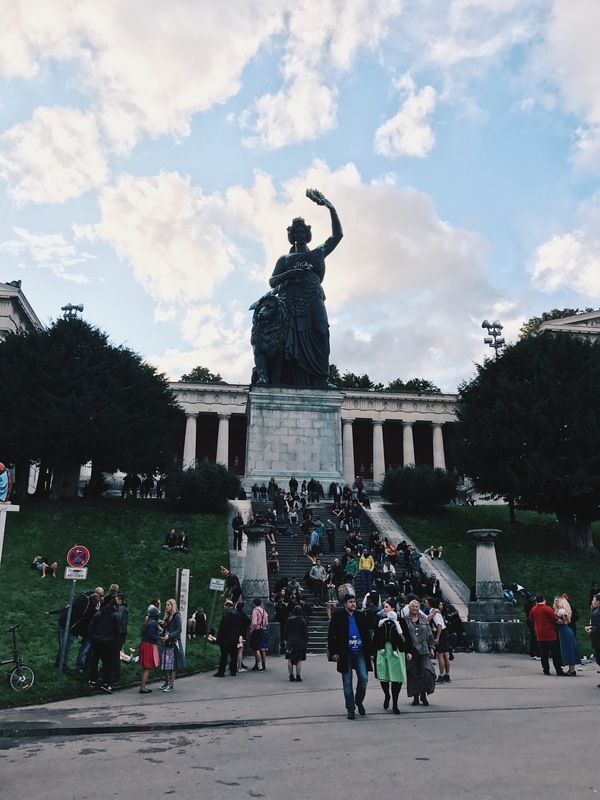 Theresienwiese itself is easily accessible by public transport so as long as you book a hotel somewhere in the central part of the city, you will be fine. When to book a hotel? I would say go for as early as you can, at least half a year before the Oktoberfest or 8-9 months in advance if you can. If it’s your first time at Oktoberfest, make time to visit either a brewery or a traditional costumer parade. It’s definitely worth seeing & if you like to have a better view, buy exclusive seats online. They cost around €20 per person and ensures you have a good seat in one of the tribunes around the parade area. That way you will see the best of the parade! 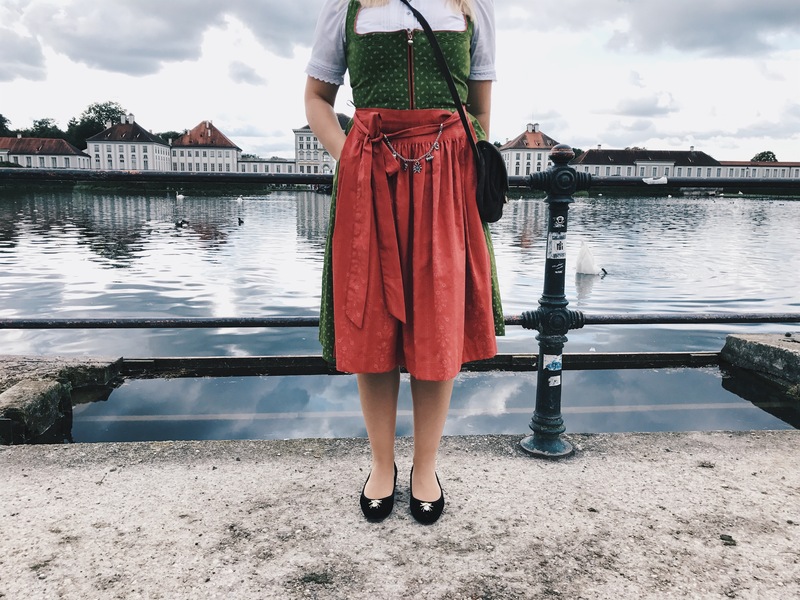 I talked with a few people during my travels who said they enjoyed Oktoberfest more when they dressed up like locals but you don’t have to wear it if you don’t feel comfortable in it or don’t think you can afford the investment as the real deal can cost you a few hundreds of euros. 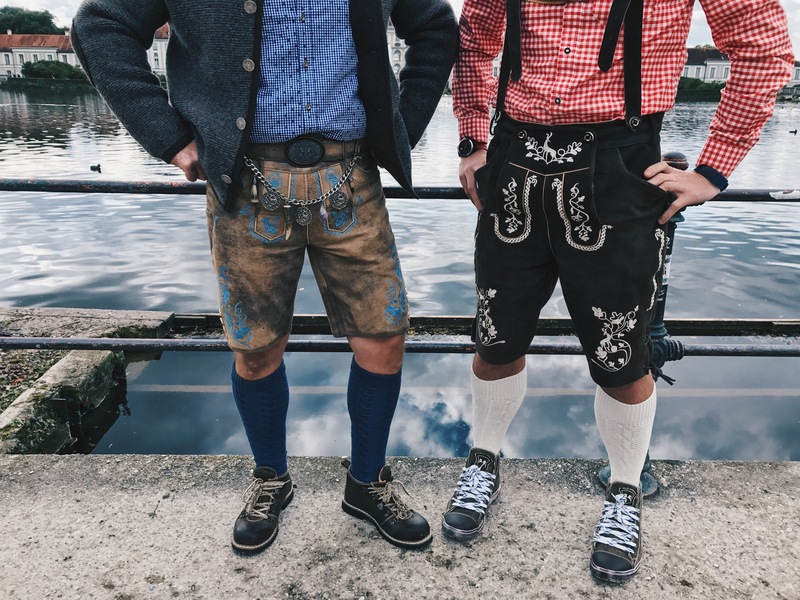 If you decide to go for it, make sure to buy a real deal and not a cheap alternative as it will truly look crap and nothing like any traditional Bavarian clothing. 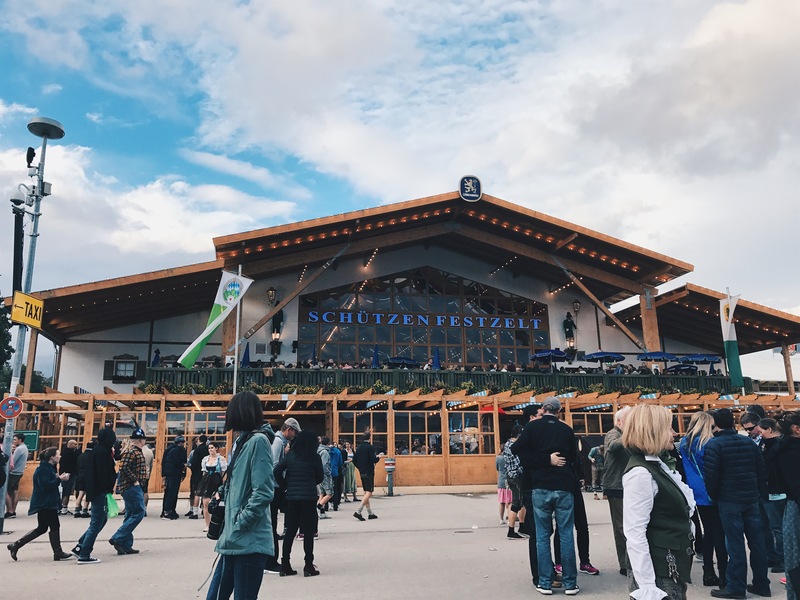 If you want to experience Oktoberfest inside tents, you will have most chances to easily get in during the week and even more if you come in early. Tents open around 10am so come down as soon as you can! If you come to the grounds in the evening, you will most likely be left outside of the tent or end up queuing most of the night. Who wants that? Travelling in a bigger group? Reserve a table in advance! Don’t buy a table because that’s a trap! Oktoberfest is free to enter as well as its tents. You can, however, buy vouchers that would get you a drink and food inside the tent. If you are travelling in a bigger group, you can book a table. Again, do it early because everyone knows the same trick and they start booking them as early as it is announced. If you are travelling in couples, you most likely will not be able to reserve a table as most tents make bookings of groups 10+ but if you come early enough, you will get a table for 2 without a problem! I know I say this a lot with all my articles about Germany but it is truly important and a great fun to experience a local cuisine. 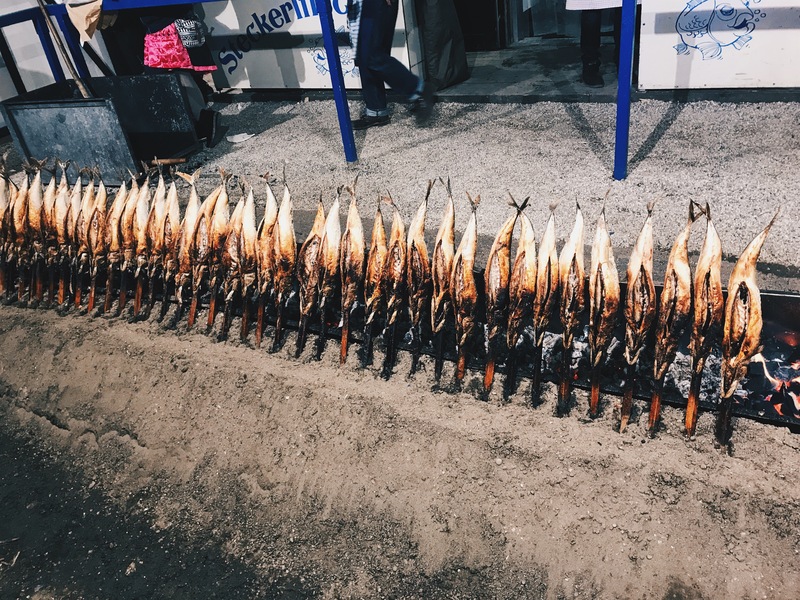 Almost all of the tents at Oktoberfest will offer roast chicken, roast pork as well as sausages, special enormous Wiesn pretzels as well as fish on a stick. If you are drinking a lot of beer, it is even more important to have food! If you visit Oktoberfest in the morning, every tent serves traditional Oktoberfest breakfast which consists of Obatzda (a cheese-butter spread) and Weisswurst (a white sausage). Yummy! 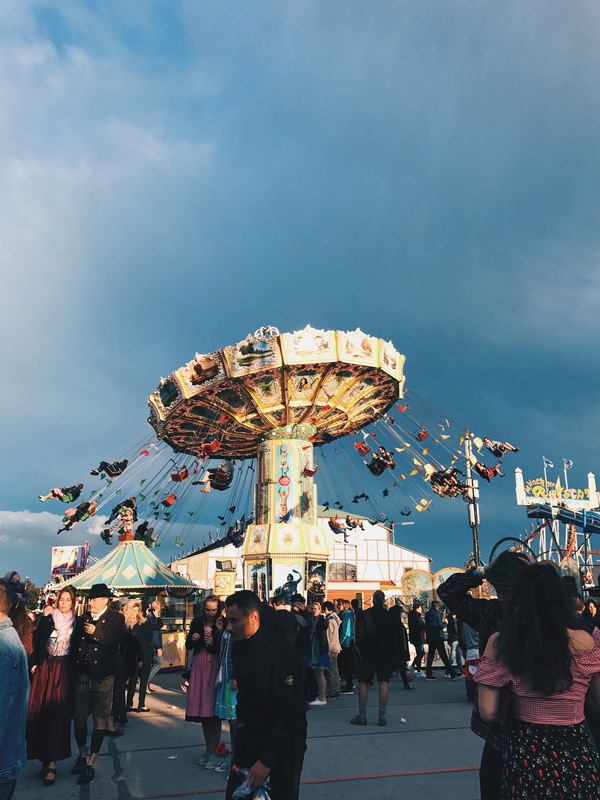 But Oktoberfest is not only about young, wild and free, it also welcomes elderly people and families, therefore, the concept of the “quiet Oktoberfest” was created in 2005. It is agreed that the orchestras play only quiet brass music until 6pm. After that time Schlager pop songs can be played together with electric music. This way the organisers were able to curb the party mentality and keep the traditional beer-ten atmosphere. 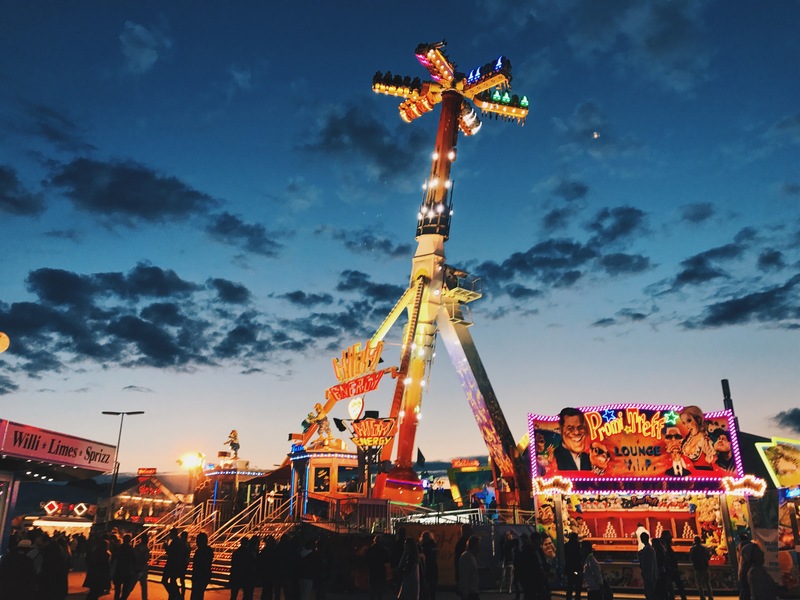 Have you ever been to Oktoberfest? Share your experience and best memories with me! If you would like to find out more about my travels, please don’t hesitate to follow me on Instagram, Twitter & Facebook ! I love your photos, too! This is one of the most comprehensive article i have come across on Oktoberfest. It’s beautifully well thought and written. I had no idea about the history of origin, the parade and various activities that place around the festival. My personal favorite is Hofbrau beer which i had in Berlin in a place which resembled the festival and i would love to visit the Oktoberfest for real. I went to Oktoberfest once and it was on a weekend! I think it would be fun to go back during the week and see the difference. I would also love to see the parade. I love the costumes all wear, its real fun when you dress up correctly. Part of me has always wanted to go, but I’m not really a beer drinker. It sounds like I’d have fun anyways, but I just worry that I wouldn’t enjoy myself when everyone else around me is drinking. Part of me wants to go, but I’m also worried I wouldn’t enjoy myself at an event where everyone but me is drinking. I’m just not a beer fan personally. wow, this was such a well written and comprehensive post! I enjoyed reading about Oktoberfest and how it all started. I love the Bavarian attire and also your pics were stunning. great photos! I’ve never been to Oktoberfest but I definitely want to go! This looks like an absolute blast! I really appreciated the history lesson at the beginning as I’ve never really thought about its origins. Beautiful photography as well. It reminds me of some of the festivals from my home town, albeit without the culture outfits and with far fewer people. I am loving the photos! It looks like a lot of fun. The fish on a stick is quite something. 🙂 Best wishes! Omg, I love this. I’ve been meaning to organise a trip to Germany for SO LONG and each October I get reminded about how I still haven’t gotten around to it! Thanks for inducing my wanderlust up to 11! Love your photos!! Oktoberfest is on my bucket list!! Hopefully I can make it next year! Such a brilliant post. Great tips and I love the photos. I had a bunch of friends go to Oktober fest this year so I’m trying to start my research early for next year lol. Did you learn the chicken dance? We are hitting this up this year with some German friends – it’s good to know what to expect! Awesome post. Yes! Have fun 🙂 I hope you will like it, I might be visiting it again too.